By Eric Thomas: Robert Guerrero’s left shoulder injury could potentially be a long lasting injury. 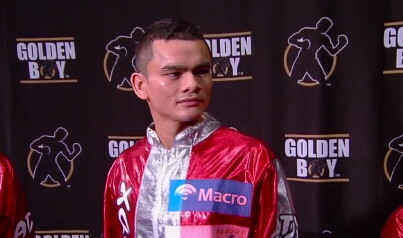 Guerrero was supposed to be fighting WBA light welterweight champion Marcos Maidana on August 27th in San Jose, California. However, Guerrero badly injured his left shoulder during a sparring session on Thursday, and there are worries that the injury may have occurred to the left rotator cuff. This is an area that often requires surgery to repair, and fighters sometimes aren’t the same afterwards. Richard Schaefer, the CEO of Golden Boy Promotions, still wants to reschedule the Guerrero-Maidana fight once the extent of the injury is known and he has an idea of how long it’s going to take Guerrero to come back from it. Will Maidana sit around and wait for Guerrero to convalesce? It’s doubtful unless it’s a minor injury. If it does involve surgery, it could take Guerrero quite a long time to come back from this, especially if his rotator cuff is involved. We saw that kind of injury to Jeff “Left hook” Lacy, and his left hook hasn’t been the same since he recovered. The good news is Guerrero isn’t a huge puncher, so that even if one of his weapons is weakened substantially, it won’t matter a whole lot. He’s kind of a finesse boxer now that he’s moved up in weight. He’s not going to be knocking out a lot of guys at 140 no matter how strong his left side is. This might not have much of an effect on his career other than wiping out the Maidana fight and making Guerrero potentially lose a lot of time if it requires surgery.